​Over the past several years, the variety and quality of frames, glass, and window glazing has increased and improved. As one of these modern glazing options, spectrally selective window glazing can dramatically reduce energy lost through your home's windows. Often used in both commercial buildings and residential houses, spectrally selective window glazing is a special type of low-e coating that allows in certain portions of the solar spectrum while blocking others. This means that it keeps your home cool in the summer and warm in the winter, without reducing natural light. Read on to learn more about spectrally selective coatings for your home's windows. How Does Spectrally Selective Window Glazing Work? By controlling the temperature of the outside pane of glass, this glazing reduces radiant heat gain and loss through the window and maintains the ambient temperature inside multi-pane glass. This means that you will be able to fully enjoy all the beautiful sunlight through your home's windows and keep your rooms cooler without expensive air conditioning. Your house will also stay cozier in the winter, as this window glazing blocks heat from escaping the interior. Spectrally selective window glazing is a suitable addition for both warm and cool climates. Additionally, homeowners often appreciate the virtually clear appearance of the window glazing, as it allows for greater daylight and brighter, more open views to the outside. This type of window glazing also offers other benefits. Homeowners will no longer need curtains to protect their interior furniture. With spectrally selective glazing, it's more comfortable to read and look at screens while sitting in direct sunlight, which is certainly a plus for homeowners who live in sunny climates. This window glazing can be used with a home glass doors or windows, including skylights. Depending on the manufacturer, spectrally selective glazing generally costs around $9 to $12 per square foot. This glazing will save you money on energy bills and usually pays itself off within 3 to 10 years. Through using spectrally selective window glazing, homeowners can filter between 40% and 70% of the heat normally transmitted through window glazing and insulated glass while still allowing visible light to pass through your windows. Consequently, homeowners can maintain a low heat transfer (U-factor) and solar heat gain coefficient (SHGC) alongside for a higher visual transmission (VT). Spectrally selective window glazing can be added with varying degrees of tinted glass. These custom spectrally selective coatings can raise or lower solar heat gain depending on the desired interior climate that you would like for your home. Studies have shown that high-quality coatings with spectrally selective window glazing have been able to help cut the energy needs of homes by more than 40%. Other energy efficient windows are commonly combined with spectrally selective window glazing. 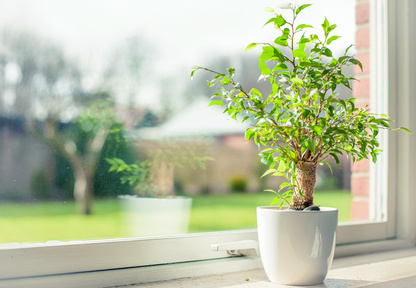 Combining spectrally selective glazing with other types of window insulation will help homeowners better control solar heat gain in summer, prevent interior heat loss in winter, and reduce electric lighting use. Spectrally selective window glazing can significantly cut your home's energy bills each month.